The process of finding customers to interview is a preview of what it’ll take to sell to our customers. Will we need to stand out on the street, do cold calls, create meetups? Just getting customer interviews is a test in-and-of-itself! Solve customers’ hypothetical problems with a webinar. Then hit ‘um up for interview. Building a service to help small businesses with online marketing? Put together an SEO webinar. Selling accounts receivable software? Hold a Google Hangout on the Top 5 SaaS Invoicing tools. Building a Social Media Analytics tool? Host a webinar devoted to the right times of the day to tweet. If it’s easy to get people to show up – you’re solving a problem. If it’s not…you’re not. Know what you’re talking about and blow attendees away with your knowledge of the space, and the generosity of your time. Make sure you get attendees’ names and email addresses. Don’t use LiveStream, YouTube, etc. Don’t pitch a product, try to solicit feedback, etc. This is entirely about you earning trust by providing value – free of charge. Thanks for attending our Facebook for Photographers webinar. Your question about getting permission before sharing pics was really great – spawned an interesting discussion. My partner and I are thinking about building a service to help Photographers share their photos online (<– note: vague) and we’re hoping to get your input. Do you have half and hour to chat next week? We’re available at 10:30 am Wed, and 2:00 pm Thursday if either of those work for you. Thanks again for attending, and please let us know if we can help you at all with your Facebook page. I’ve done this before it worked well. In addition to getting attendee interviews, because I’d earned the trust of the people who attended the webinar, when I ask for referrals to their peers to interview, I almost always got them. The downside of the Webinar Honey Pot is simply that it takes time. Time to know the space, time to get the word out about your webinar, etc. That said, everything in a B2B play takes time, so it’s good to get used to it now before you bet the farm. If you’re a new reader of the blog (welcome! ), this is the hack that put us on the map: How to Interview 100 Customers (in 4 Hours). Read it. It’ll change your business. I’m too scared to do cold calls (tips anyone? ), but cold emails I can do…and I love doing them. Why? because they’re an indicator as to whether I might be solving a problem. I once sent out a set of 10 cold emails asking for meetings and as a result, got 5 meetings (that’s a better conversion rate than birthday party RSVPs). SPAM Warning: if your domain gets associated with spamming, it’ll haunt you for the rest of your life. Don’t do it. Personalize each email with a specific comment about the company, the person’s twitter profile, etc. A friend and I are trying to help photographers share their photos, and were wondering if we could talk to you about the hardest part about doing that today. Finding customers to interview is a challenge, but one that will immediately tell you if you’re on the right track. Can’t find customers willing to talk about their problems? You can’t find customers. Tried any of these before? Any tweaks or suggestions? Join the experiment – subscribe via Email or RSS. Our next post will be: Everything that’s Wrong with our Press Hacking Post! Want help getting interviews? Schedule a 1-on-1 mentoring call. Will your customers be on MTurk? What’s the best way to tell businesses about your webinar? How do you ask for an interview? Join a Customer Acquisition Team to trade tips with other founders who are actively interviewing their customers. Very good stuff, thank you, but I feel you skip the most difficult step in my opinion. How to get email addresses of your customers in a B2B settings. I’d love to send an email to people in marketing for QSR and Coffee chains. Any tip on how to get in touch with them? Hey Alfonso, check out this post: http://goo.gl/56EkrW. Not a definitive answer, bust Step 1 lists a couple suggestions. I loved the Hack #1, but this one was disappointing. What if I want to interview someone B2C in a country (Brazil) where MTurk is completely unknown? I was expecting for something more generalist (like the webinar tip for B2B), instead of a tool/product to use. This is awesome and thanks a tonne for sharing info on Customer Discovery Ninja. I also signed up for the customer development workbook. Looking forward to receiving my copy. I’ve tried about 8 problem interviews with my hypothesized problem and realised I had skipped the discovery phase altogether. D’oh! When I sat down to think about the general context I wanted to explore I felt I had hit a speedbump. I’m struggling to zone in on the problem context a bit which happens be around the fitness and weight loss theme. Could really do with some seasoned advice from someone like you. Can i get in touch with you via email? Hey Harshit, thanks for asking your question. Please feel free to email any time, my email address is my first name at this domain name. I may not be able to respond immediately, but I’ll try to get in touch as soon as I can. I’m grateful you posted this as a comment though because it’s a great question, the “problem context” is a confusing subject and deserves further explanation. Think of the “Problem Context” as the moment in your customer’s life when she will feel your hypothesized pain most acutely. A situation when, if you asked about pain she has experienced when she was in that situation in the past, you can almost guarantee she’ll cite the problem you want to solve. If your customer has taken action to solve the hypothesized problem recently, then great, you’re on the right track. If she doesn’t, that means this segment, even when you point them to a situation you are sure they’ll have encountered the problem, isn’t actively trying to solve the problem. It’s a brilliant article, the problem outside the US is that MTurk is not an option, nor CSNinja. I have been researching to find a decent MTurk UK alternative to find nothing good and a lot of spam emails from all the services I signed up for. Thanks El. I agree, there aren’t many great options for crowdsourcing your interviewing if your customers are outside the US. That said, I don’t think that’s a bad thing. MTurk is rarely a channel founders can use for direct marketing once they’ve identified a problem they want to solve (in fact, MTurk forbids using it as a marketing channel). Eventually, all founders, even those who use MTurk to do some of their customer interviews, will need to find direct channels to interact with their customers. 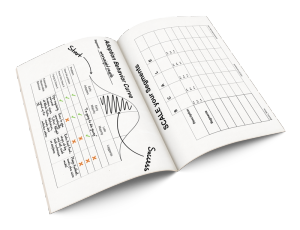 I’ve got some great exercises in FOCUS that walk you through how to identify and test potential channels for customer interviews, I highly recommend grabbing a copy of the workbooks. If FOCUS isn’t an option, think about where your customers are going currently to solve their problem.